The combination of Ms. Martino’s family roots in country living, combined with her education in healthcare, as well as a Holistic Nutritionist Counselor (HNC) and Certified Life Coach (CLC), resulted in a more mindful approach to the general preparation and choices in food. She has loved traveling the world, experiencing different culinary practices, as well as the food and spices. 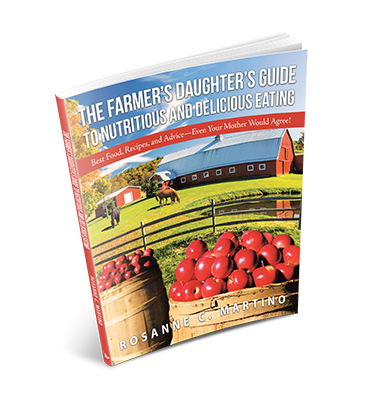 Her Italian country ancestry is an obvious background for many recipes in “The Farmer’s Daughter’s Guide to Nutritious and Delicious Eating,” as well as her knowledge of healthier more holistic practices to daily living.